Summary: Richard Feynman once quipped that "Time is what happens when nothing else does." But Julian Barbour disagrees: if nothing happened, if nothing changed, then time would stop. For time is nothing but change. It is change that we perceive occurring all around us, not time. Put simply, time does not exist. In this highly provocative volume, Barbour presents the basic evidence for a timeless universe, and shows why we still experience the world as intensely temporal. It is a book that strikes at the heart of modern physics. It casts doubt on Einstein's greatest contribution, the spacetime continuum, but also points to the solution of one of the great paradoxes of modern science, the chasm between classical and quantum physics. 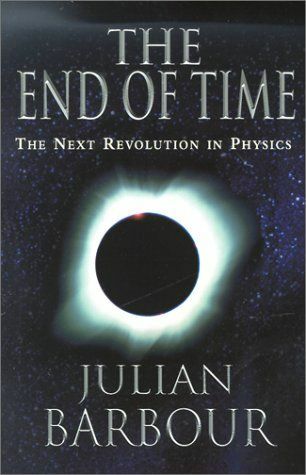 Indeed, Barbour argues that the holy grail of physicists--the unification of Einstein's general relativity with quantum mechanics--may well spell the end of time. Barbour writes with remarkable clarity as he ranges from the ancient philosophers Heraclitus and Parmenides, through the giants of science Galileo, Newton, and Einstein, to the work of the contemporary physicists John Wheeler, Roger Penrose, and Steven Hawking. 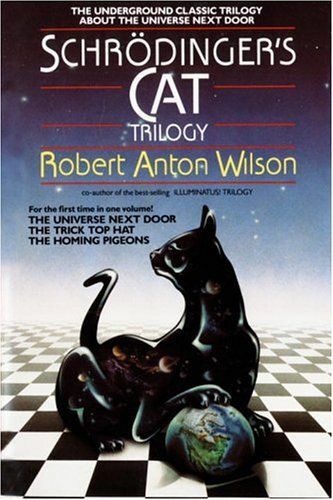 Along the way he treats us to enticing glimpses of some of the mysteries of the universe, and presents intriguing ideas about multiple worlds, time travel, immortality, and, above all, the illusion of motion. The End of Time is a vibrantly written and revolutionary book. It turns our understanding of reality inside-out. My Comments: Right about now you're probably asking yourself; 'What the?' O.k. let me explain a little. I've long held my own theories regarding time, and it's existence; or rather, the lack thereof. This book takes a serious hard and long look at time, suggesting that time in fact does not exist. It's written by a well known and respected physicist with over 35 years of experience in foundational physics. Barbour's theory is an interesting and provocative idea, which attempts to unify classical and quantum physics by answering some really tough questions. Summary: How did the universe begin and how will it end? What is mind, and can it survive death? What are time and space, and how do they relate to ideas about God? Is the order of the universe the result of accident or design? The most profound and age-old questions of existence -- for centuries the focus of religion and philosophy -- may soon be answered through the extraordinary advances of a field of science known as the new physics. In this illuminating work, Paul Davies, author of the acclaimed "Other Worlds" and "The Edge of Infinity," writes that the discoveries of 20th-century physics -- relativity and the quantum theory -- are now pointing the way to a new appreciation of man and his place in the universe. They could, in fact, bring within our grasp a unified description of all creation. 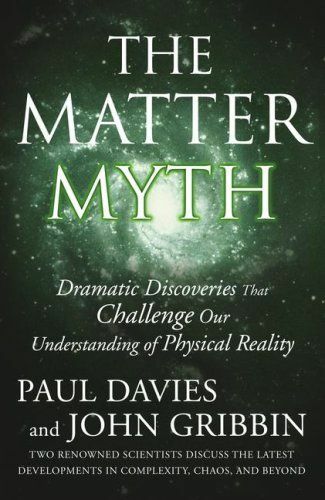 Demanding a radical reformulation of the most fundamental aspects of reality and a way of thinking that is in closer accord with mysticism than materialism, the new physics, says Davies, offers a surer path to God than religion. 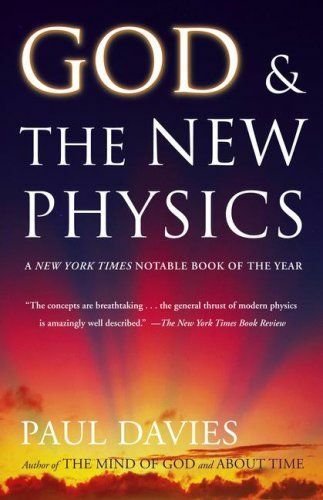 Described by "The Washington Post" as "impressive," "God and the New Physics" is a fascinating look at the impact of science on what were formerly religious issues. Elegantly written, a book for both scholars and lay readers of science, it is, according to the "Christian Science Monitor," a "provocative...rewarding intellectual romp." My Comments: Some really interesting insights into the 'I' and 'Why'. Summary: In this sweeping survey, acclaimed science writers Paul Davies and John Gribbin provide a complete overview of advances in the study of physics that have revolutionized modern science. From the weird world of quarks and the theory of relativity to the latest ideas about the birth of the cosmos, the authors find evidence for a massive paradigm shift. Developments in the studies of black holes, cosmic strings, solitons, and chaos theory challenge commonsense concepts of space, time, and matter, and demand a radically altered and more fully unified view of the universe. My Comments: Dramatic discoveries that challenge our understanding of physical reality. Some really good quantum physics stuff. 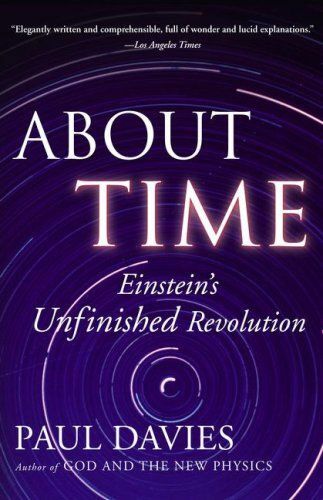 Summary: An elegant, witty, and engaging exploration of the riddle of time, which examines the consequences of Einstein's theory of relativity and offers startling suggestions about what recent research may reveal. The eternal questions of science and religion were profoundly recast by Einstein's theory of relativity and its implications that time can be warped by motion and gravitation, and that it cannot be meaningfully divided into past, present, and future. "About Time" weaves physics and metaphysics in a provocative contemplation of time and the universe. My Comments: Another book about time. This one was written by Paul Davies. An excellent book, with a lot of insightful stuff about time, cosmology, astronomy, and philosophy. Summary: A bestselling collection of brilliant and quirky essays, on subjects ranging from biology to grammar to artificial intelligence, that are unified by one primary concern: the way people perceive and think. Summary: Everything is a symbol, and symbols can combine to form patterns. Patterns are beautiful and revelatory of larger truths. These are the central ideas in the thinking of Kurt Gödel, M.C. Escher, and Johann Sebastian Bach, perhaps the three greatest minds of the past quarter-millennium. 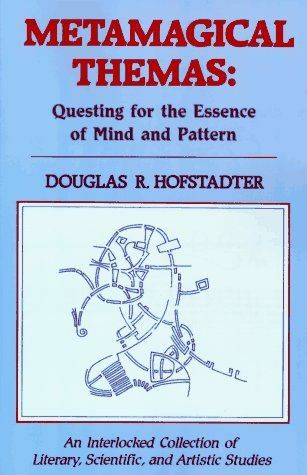 In a stunning work of humanism, Hofstadter ties together the work of mathematician Gödel, graphic artist Escher, and composer Bach. "Gödel, Escher, Bach", a Pulitzer prize-winning treatise on genius, explores the workings of brilliant people's brains with the help of historical examples and brainteaser puzzles. Not for the dim or the lazy, this book shows you, more clearly than most any other, what it means to see symbols and patterns where others see only the universe. Touching on math, computers, literature, music, and artificial intelligence, "Gödel, Escher, Bach" is a challenging and potentially life-changing piece of writing. My Comments: Heady Metaphysical stuff. Summary: The sequel to the cult classic The Illuminatus! Trilogy, this is an epic fantasy that offers a twisted look at our modern-day world--a reality that exists in another dimension of time and space that may be closer than we think. Summary: Unless you're a mathematician, the chances of you reading any novels about geometry are probably slender. But if you read only two in your life, these are the ones. Taken together, they form a couple of accessible and charming explanations of geometry and physics for the curious non-mathematician. 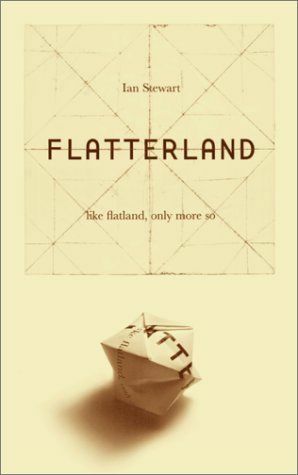 "Flatland", which is also available under separate cover, was published in 1880 and imagines a two-dimensional world inhabited by sentient geometric shapes who think their planar world is all there is. But one Flatlander, a Square, discovers the existence of a third dimension and the limits of his world's assumptions about reality and comes to understand the confusing problem of higher dimensions. The book is also quite a funny satire on society and class distinctions of Victorian England. The further mathematical fantasy, "Sphereland", published 60 years later, revisits the world of Flatland in time to explore the mind-bending theories created by Albert Einstein, whose work so completely altered the scientific understanding of space, time, and matter. Among Einstein's many challenges to common sense were the ideas of curved space, an expanding universe and the fact that light does not travel in a straight line. Without use of the mathematical formulae that bar most non-scientists from an understanding of Einstein's theories, "Sphereland" gives lay readers ways to start comprehending these confusing but fundamental questions of our reality. Summary: The year is 1981, and in the computer lab of a large university a group of graduate students and their professor are hard at work on their mainframe, graphically modeling an imaginary two-dimensional world. The project is going well, extraordinarily well, when one student suddenly notices that the world they are building with their graphics program is . . . inhabited! So begins A.K. 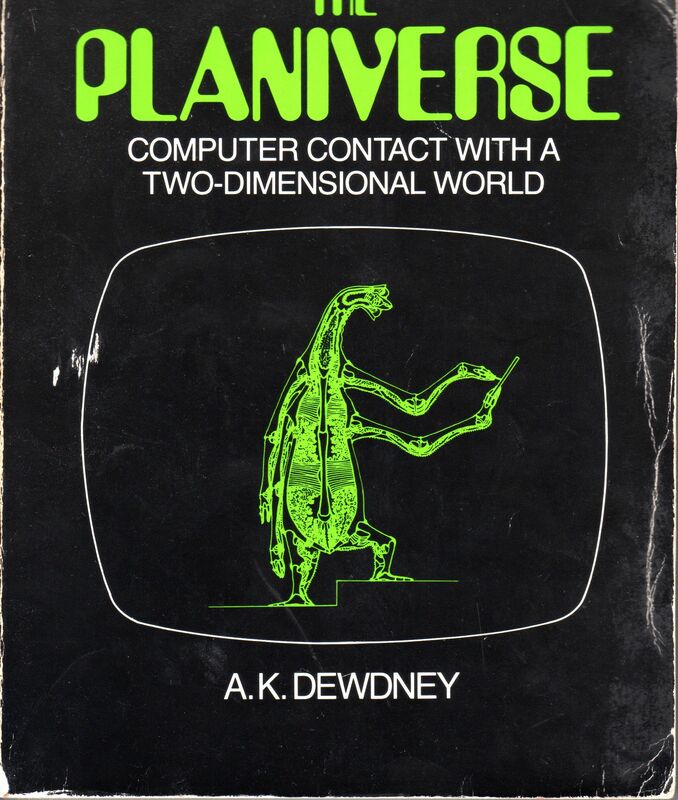 DewdneyÕs newly republished 1984 tale of trans-dimensional discovery and communication. The students and their professor find, to their astonishment, that they are communicating with Yendred, their only contact in the 2D world of Arde. At first disbelieving, they are soon entranced by a universe in which astonishing tiny creaturesÑindeed an entire astonishing worldÑexist solely on an x-y plane. This book, following in the footsteps Edward AbbotÕs nineteenth century classic Flatland, is a cult favorite among mathematicians and computer scientists. As a kind of mental puzzle or brain-teaser, it challenges and delights, inviting readers to imagine just how a two-dimensional world might work. But the book is also a parable, serving as a cautionary tale about the difficulties of communication from one totally alien world to another, and suggesting that it is not only two-dimensional Ardeans who fail to see beyond the the obvious world before their eyes. Summary: In 1884, an amiably eccentric clergyman and literary scholar named Edwin Abbott Abbott published an odd philosophical novel called "Flatland", in which he explored such things as four-dimensional mathematics and gently satirized some of the orthodoxies of his time. The book went on to be a bestseller in Victorian England, and it has remained in print ever since. 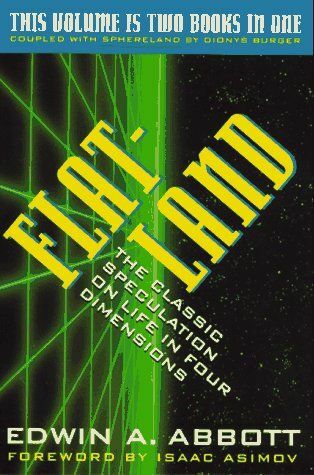 With "Flatterland", Ian Stewart, an amiable professor of mathematics at the University of Warwick, updates the science of "Flatland", adding literally countless dimensions to Abbott's scheme of things ("Your world has not just four dimensions," one of his characters proclaims, "but five, fifty, a million, or even an infinity of them! And none of them need be time. Space of a hundred and one dimensions is just as real as a space of three dimensions"). Along his fictional path, Stewart touches on Feynman diagrams, superstring theory, time travel, quantum mechanics, and black holes, among many other topics. And, in Abbott's spirit, Stewart pokes fun at our own assumptions, including our quest for a Theory of Everything. You can't help but be charmed by a book with characters named Superpaws, the Hawk King, the Projective Lion, and the Space Hopper and dotted with doggerel such as "You ain't nothin' but a hadron / nucleifyin' all the time" and "I can't get no / more momentum." And, best of all, you can learn a thing or two about modern mathematics while being roundly entertained. That's no small accomplishment, and one for which Stewart deserves applause. " --Gregory McNamee"
Summary: "Sleep. And when you awake everything you know of the twentieth century will be gone from your mind. Tonight is January 21, 1882. There are no such things as automobiles, no planes, computers, television. 'Nuclear' appears in no dictionary. You have never heard the name Richard Nixon." 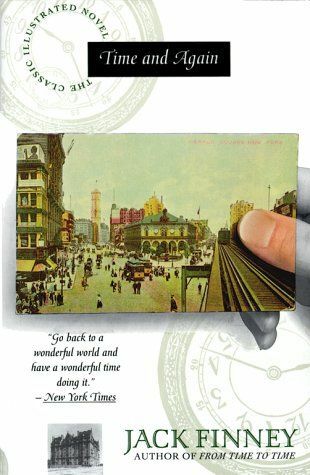 My Comments: A fictional book about time travel! Does the past actually exist? Slow at the start, but a real page 'burner' towards the end. Great exploration of the ethics of time travel.